Today’s fairy has been stitched into a plain piece of white card. I drew the outline on the reverse of the card and poked holes through the card at small intervals (to make it easier to sew). 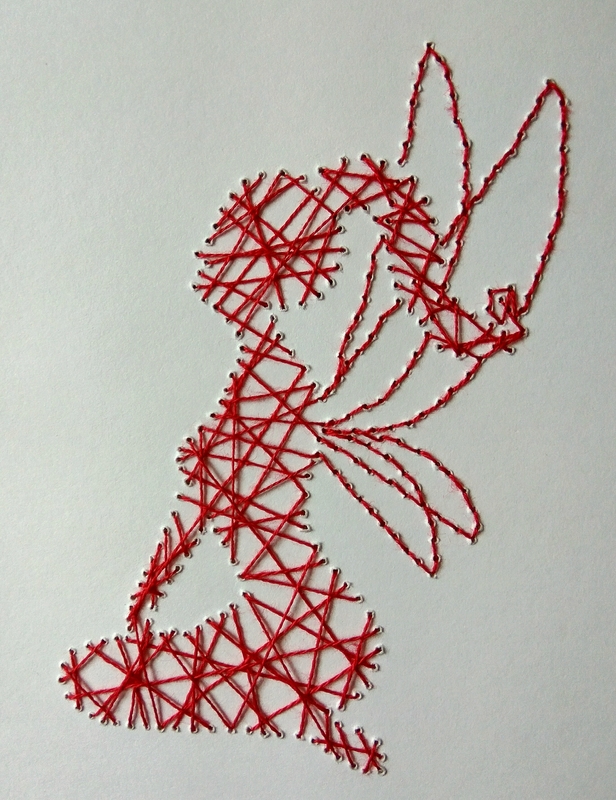 I then used some red thread on a very fine needle and deliberately criss-crossed the stiches of the body and hair. I chose to simply do a backstitch for the wings to add a bit more definition to them.